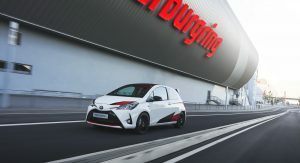 The new Yaris GRMN is Toyota’s hotly anticipated return to the hot hatch market but as it turns out the company will offer it in just 400 examples, 100 of which will become available in the UK. 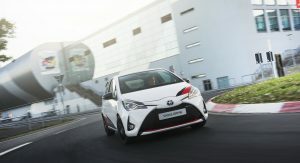 Toyota UK announced the pricing details of the limited Yaris GRMN, which starts from £26,295. 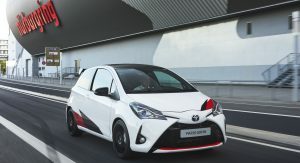 This makes the new Japanese hot hatch significantly more expensive from similarly sized rivals like the Renault Clio RS, the Peugeot 208 GTI and the Opel Corsa OPC which are priced between £20,000 and £22,000. Even the upcoming three-cylinder Ford Fiesta ST is expected to start under £20,000, once it arrives in 2018. 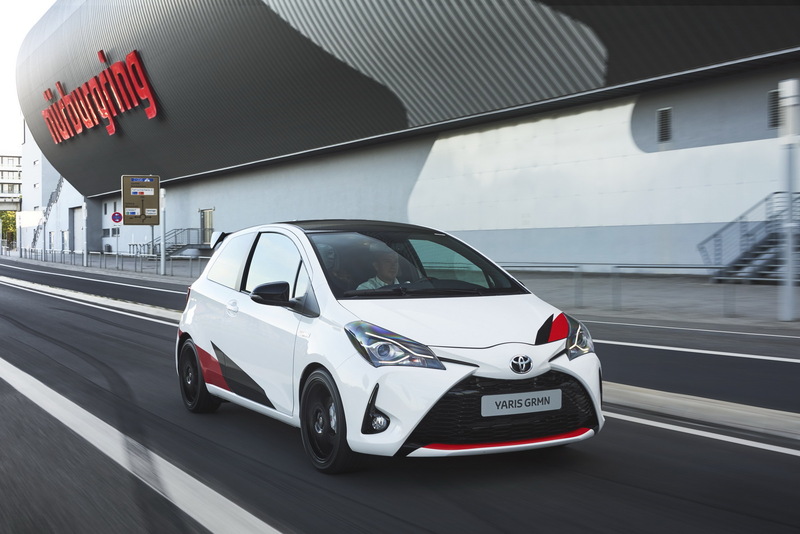 With only 100 cars coming to the UK though, the new Yaris GRMN will be a much rarer sight on the roads but if that’s not enough for someone, Toyota UK also announced a very tempting finance offer. 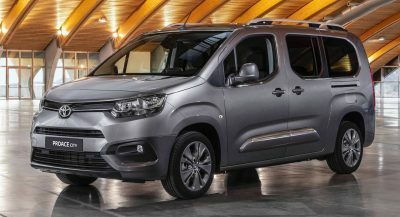 The deal includes a £4,959 deposit and monthly repayments of just £299. 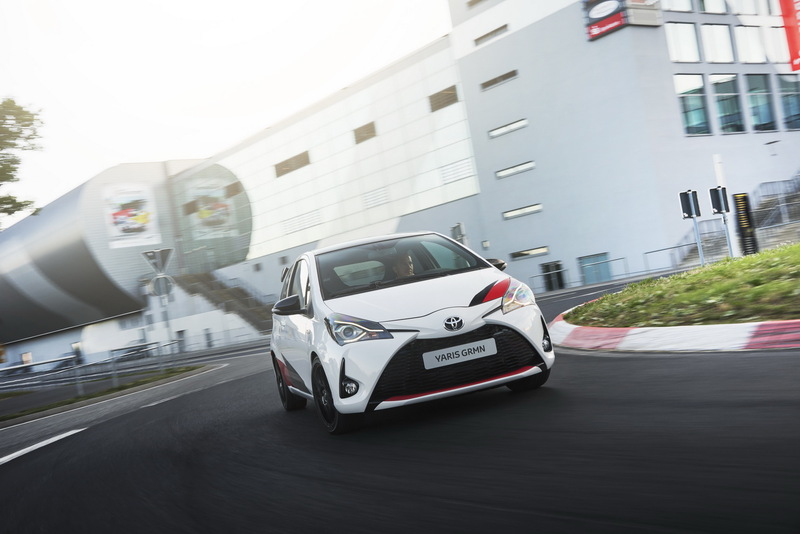 Toyota UK will keep the online reservations for the Yaris GRMN open until October 31st but those who sign up for a car before September 27 will also get the opportunity of taking part in an exclusive Yaris GRMN driving day at the Silverstone track. 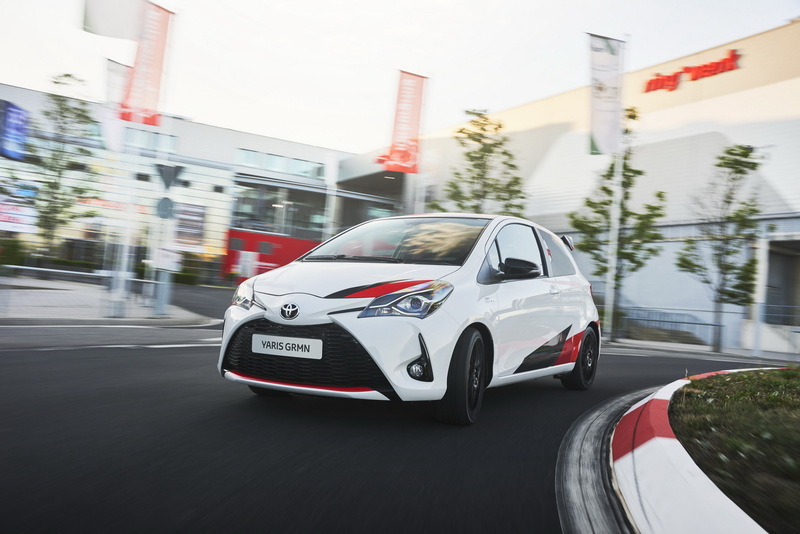 The new Toyota Yaris GRMN is powered by a supercharged 1.8-liter petrol engine with 209hp paired to a six-speed manual transmission. 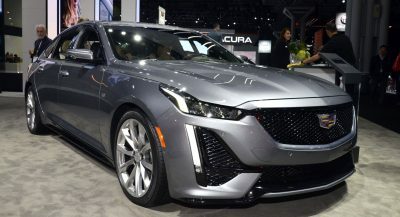 0-62mph comes in 6.3 seconds while the top speed is electronically limited to 143mph. 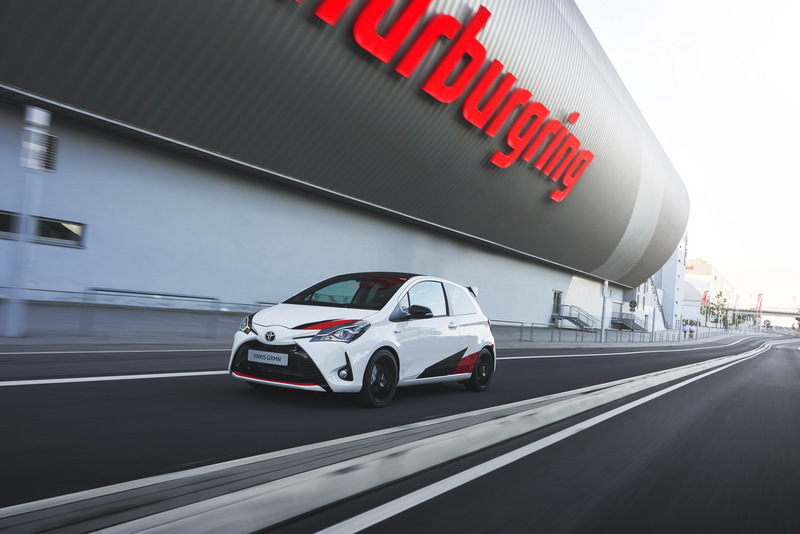 A Torsen limited-slip differential and a 24mm lower suspension with Sachs dampers, fatter antiroll bars and bigger brakes are also there to help the Yaris deliver on its high-performance promises. 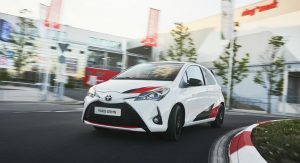 Toyota UK says that the first customer cars are expected to be delivered in March 2018. I had a 2004 xB (essentially the same platform) that was supercharged and hopped up with some extra engine performance and suspension bits. It was a blast! 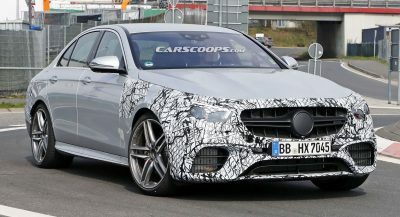 This is effectively the same thing with a bigger engine and better tune. I bet the owners will be quite pleased with it! 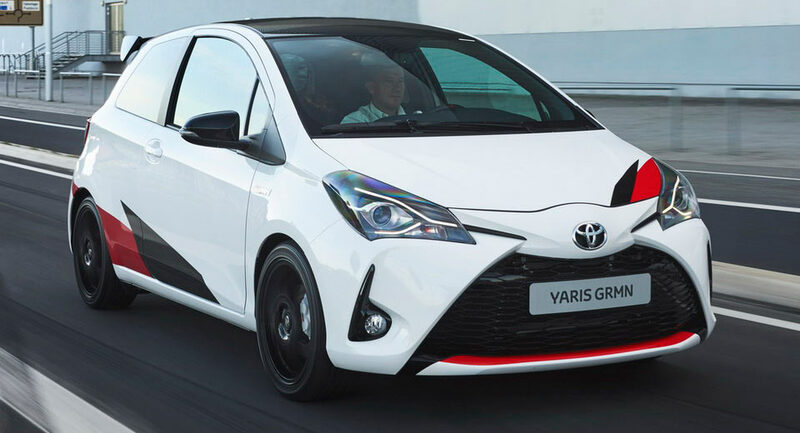 It’s hard to believe that Toyota is making a car that will be rarer than a Ferrari. 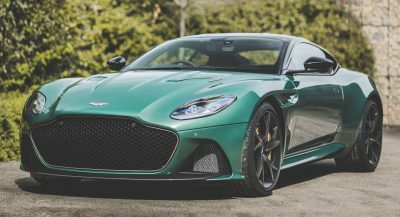 I’d take this over a GT86 to be honest.